A collection of Eleventh Doctor comics featuring original companion Alice Obiefune, with guest appearances from Abslom Daak and the War Doctor. Accused of terrible war crimes that he can’t remember committing, the Eleventh Doctor goes on the run with Alice, along with a mysterious amnesiac who calls herself The Squire. As they dig deep into the history of the Time War in hope of clearing the Doctor’s name, the bounty hunter called The Then and The Now, a hideous perversion of spacetime, tracks them at every turn! 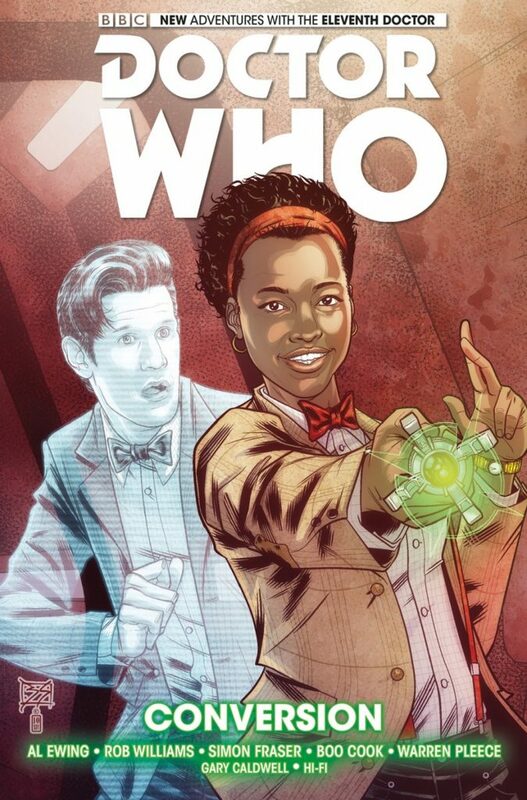 A collection of Eleventh Doctor comics, featuring original companions Alice Obiefune, John Jones and ARC. The Doctor has been orbiting the terrifying SERVEYOUinc corporation since he burst into the life of Alice Obiefune… Now the truth behind SERVEYOUinc’s transtemporal malevolence is revealed: along with all the secrets of loveable shapeshifting protoplasm ARC! How will the Doctor’s new companions be affected… and will anyone make it out alive? 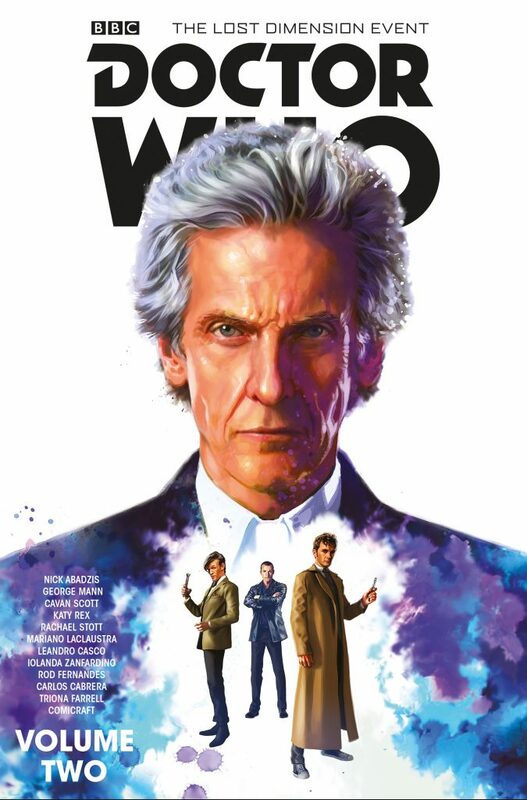 The Eleventh Doctor has an all-new TARDIS crew – whip-smart Alice, mercurial musician Jones and the shapeshifting entity ARC. But whether battling time in the TARDIS running backwards, alien air war in the Earthly skies or the deadly machinations of SERVEYOUinc, terror, awer and danger are never far away! With a force of personality capable of bending time itself and all the energy of a star’s exploding heart, the Doctor blasts into the hollow, tragic life of a woman with so much to offer – and gives her the chance to scream “Geronimo!” at the thrills, colours and errors of an infinite universe! 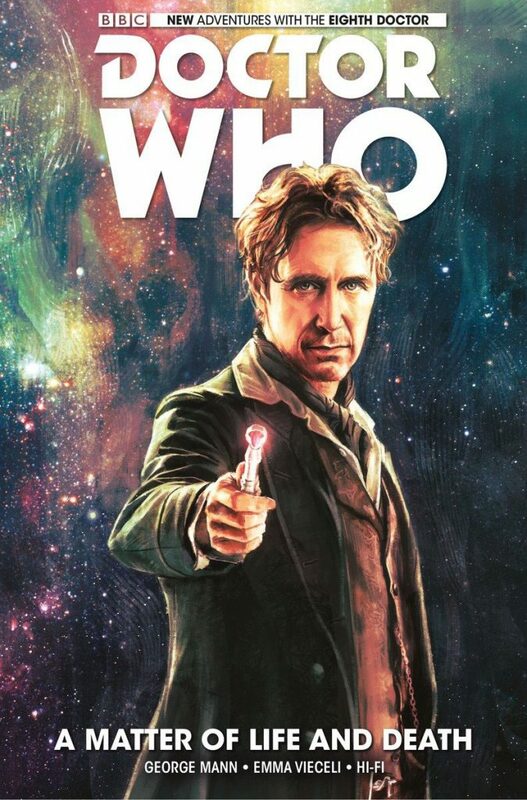 A collection of Eighth Doctor comics, featuring original companion Josie Day. Eerie Victorian magic shows, living paintings, mysterious lost books, crystalline life-forms, space-barges crammed with the undead… Embrace all the Gothic Romance and interstellar terror of the Eighth Doctor in this new series! 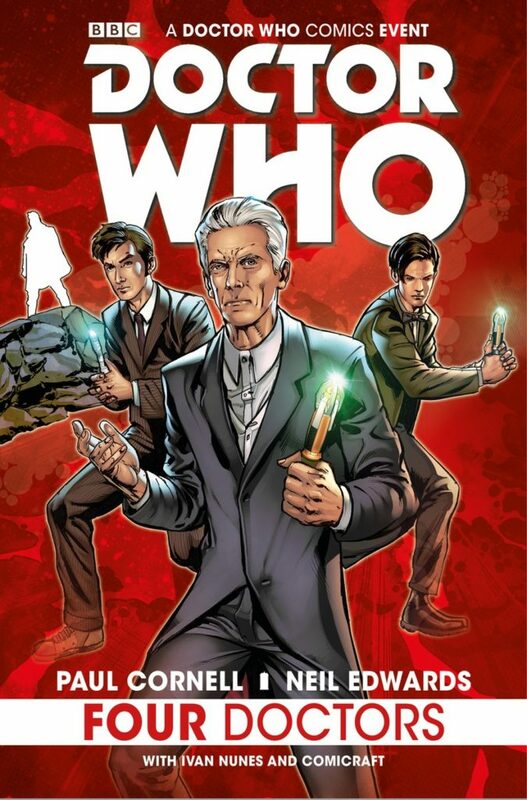 An epic comic collection featuring the Ninth, Tenth, Eleventh and Twelfth Doctors battling through time to fight the unstoppable Cybermen! Exiled from Gallifrey at the very end of Time, Rassilon has been captured by the last of the Cybermen. Now the Cybermen have access to time travel. With it, every defeat is now a victory. Every foe is now dead – or Cyberised. The Legions march across time and space, leaving devastation and converted civilisations in their wake, their numbers growing with every world that falls. Can the Ninth, Tenth, Eleventh and Twelfth Doctors – each battling the Cybermen alone, on a different temporal front – undo the damage that has been wrought on the universe, before they are converted themselves? 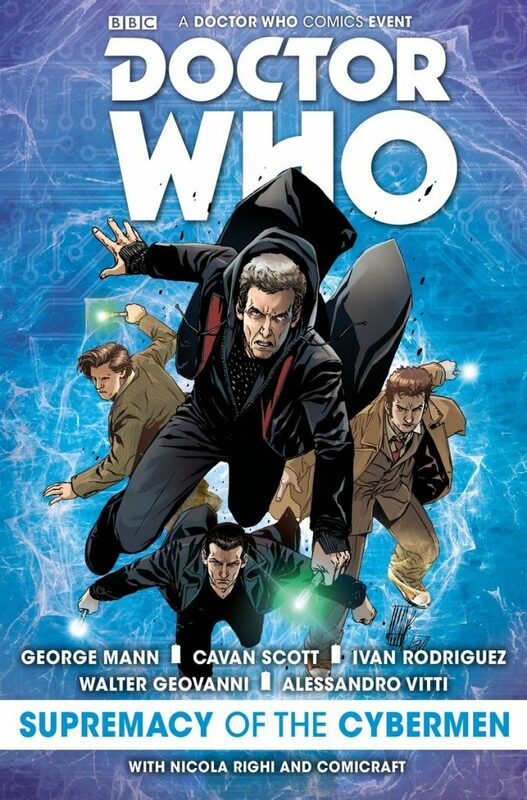 An epic comic collection featuring the Tenth, Eleventh and Twelfth Doctors, along with their companions Gabby, Alice and Clara, with a special appearance from the War Doctor. 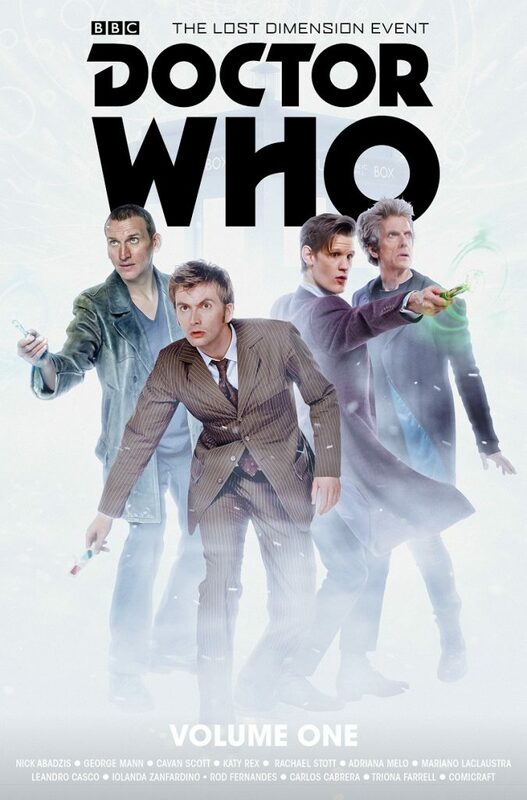 When an unseen enemy manoeuvres the Tenth, Eleventh and Twelfth Doctors into an impossible meeting, the future of the universe itself is put at stake. 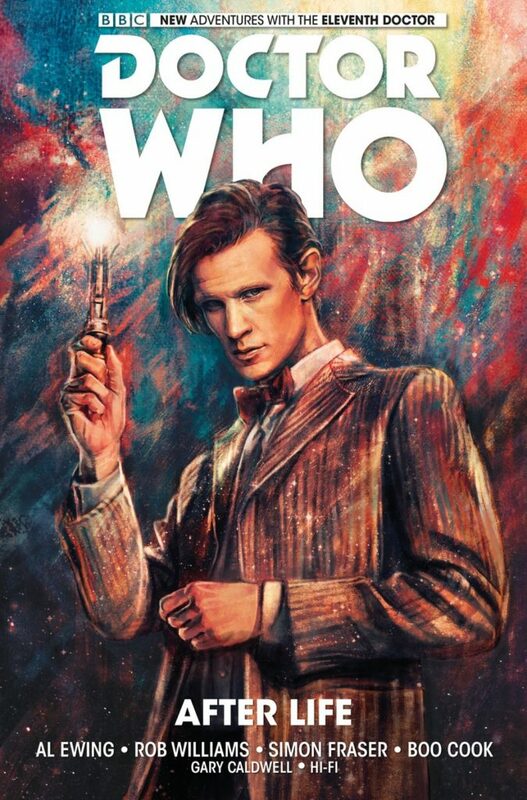 It will take all of the Doctor’s innate cunning and adaptability to team up with his past and present selves to uncover the immensely powerful culprit, fix the time stream, and right an ancient wrong. But what mysterious event from the Doctors’ collective past will have an unforgettable effect on their future? 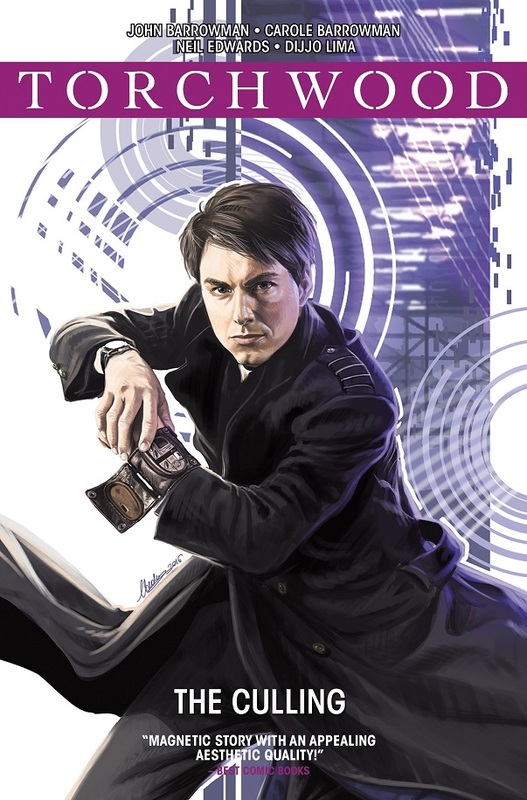 A collection of Torchwood comics featuring Captain Jack Harkness and Gwen Cooper, with Captain John Hart. A collection of Tenth Doctor comics, featuring original companions Gabby Gonzalez, Cindy Wu and Noobis. The Doctor and his friends are scattered through time – while the Doctor chases an anomaly in the vortex, Noobis has an unlikely encounter in the gardens of a library and Gabby and Cindy meet up with an old friend of the Doctor’s… one Sarah Jane Smith! Having already explored some of Sarah Jane’s travels with the Fourth Doctor, Titan have made the inspired decision to have the older, more experienced Sarah come to the rescue of the Tenth Doctor’s abandoned companions. This has all the makings of a great character piece. A collection of Tenth Doctor comics, featuring original companions Gabby Gonzalez and Cindy Wu and guest starring Captain Jack Harkness. The Doctor and his friends, Captain Jack included, must battle for their lives in the sinister Arena of Fear! Then the Doctor, Gabby and Cindy head to a charming English village famous for its supernatural tales… but are they more than just stories? Meanwhile, the faithful TARDIS has sinister secrets that may trap her passengers forever. The Sapling reaches maturity as the Doctor and Alice seem closer than ever to finding their missing memories – but with a Silent on their tail, it isn’t long until the Doctor’s world is turned upside down… The third year of Eleventh Doctor comics from Titan has given the Doctor and his friends some meaty characterisation whilst also delighting in wonderfully out-there ideas. This volume sees the current story arc reach a thrilling, whilst also pleasingly surreal, conclusion. The final part of an epic comic collection featuring the Ninth, Tenth, Eleventh and Twelfth Doctors and their companions. Vol 1 available here. All across the universe, planet-engulfing white holes threaten every civilised world. Unless they can work together, none of the Doctors or their friends will be safe. 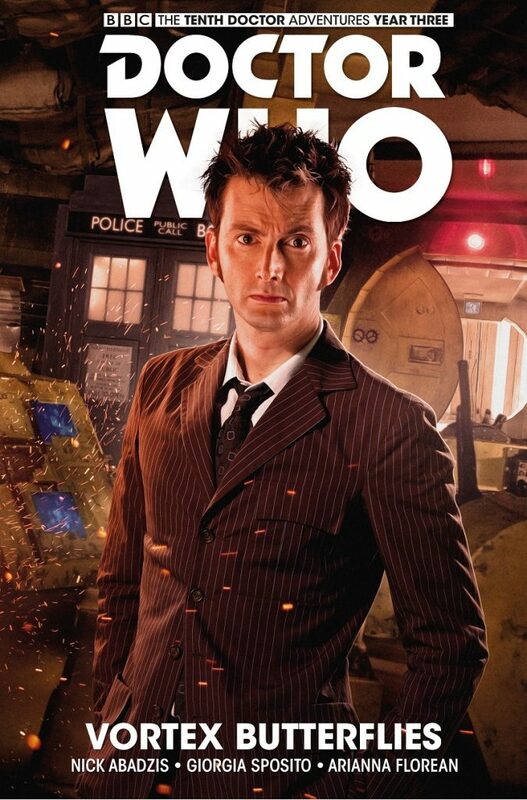 And somehow the Doctor’s daughter, Jenny, lies at the centre of it all… Titan’s most ambitious storyline ever concludes in an explosive fashion with this second volume. It’s an everything-and-the-kitchen-sink finale, featuring star turns from the likes of the Fourth Doctor and River Song. There’s even a quick visit to Bondi Beach! An epic comic collection featuring the Ninth, Tenth, Eleventh and Twelfth Doctors, their companions, and cameos from plenty of figures from the Doctor’s past! The Void threatens to devour the universe. A terrible battle is looming, one that all the Doctors must be prepared to fight… Having taken two previous stabs at multi-Doctor specials (Four Doctors in 2015 and Supremacy of the Cybermen the year after), Titan Comics have pulled out all the stops for 2017’s blockbuster event. Told over two volumes, this is the most ambitious storyline from Titan yet! An original novella featuring the Fifth Doctor, along with his companions Peri and Erimem. The American Civil War — a time of great unrest, when fathers found themselves in conflict with their sons and when lawlessness and slavery were rife. The Doctor, together with his companions Peri and Erimem, arrive in the middle of the conflict. 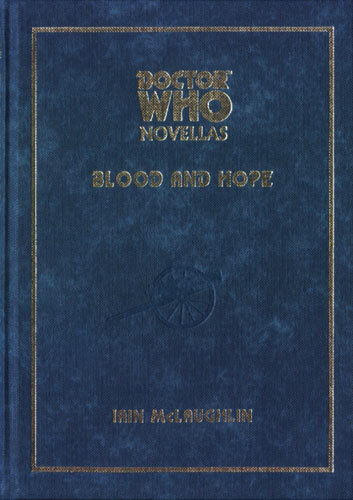 The Doctor manages to cope in his own inimitable manner, however Peri — an American — and Erimem — a dark-skinned Egyptian — find themselves faced with all the bigotry and hatred that typified the war for some… This deluxe edition is limited to 600 copies, all signed by author Iain McLaughlin.